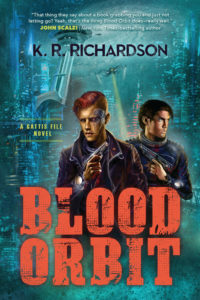 The first book under my K. R. Richardson pseudonym now has its own website, which is not complete, but is up as it continues to develop. So check out GattisFiles.com for some fun stuff related to Blood Orbit and the world of Gattis. This website will be getting an update soon, too. Some material will go away, some will be added and the design will be updated, as soon as things stabilize at GattisFiles.com.